The Amish Project opens Friday! The semester is well underway! This Friday we open The Amish Project by Jessica Dickey, directed by Professor Mitchell Hébert. We also have a lot of workshops, conferences, and performances coming up in the next few weeks: the Applause Construction Cabaret, a Dance Exchange showing, the TDPS New Play Workshop, Second Season's Shared Graduate Dance Concert, the Jim Henson Award for Puppetry Presentation, the Maryland Theatre Education Association's conference, the ___Face Symposium, and two workshops with Louis Colaianni (voice and speech) and Lindsey Kasabian (casting). Check out the details below. 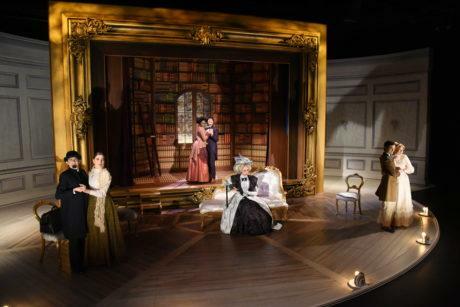 We had a very successful run of The Importance of Being Earnest (see reviews below) and we held a lovely reception for Randy Lord '77 & Steve Fessler on opening night. Click on the story below to see photos from the celebration. Also be sure to check out the huge list of 2017 Helen Hayes Award nominees from the TDPS family, including faculty, students, and alumni. Congratulations everyone! Shots are fired in a school house, and the world seems to stop. A stunned community — teachers, parents, friends, families of the victims and the perpetrators — must find a way to keep living their lives. This lyrical and potent drama explores the aftermath of a school shooting in an Amish community, and the path of forgiveness and compassion forged in its wake. 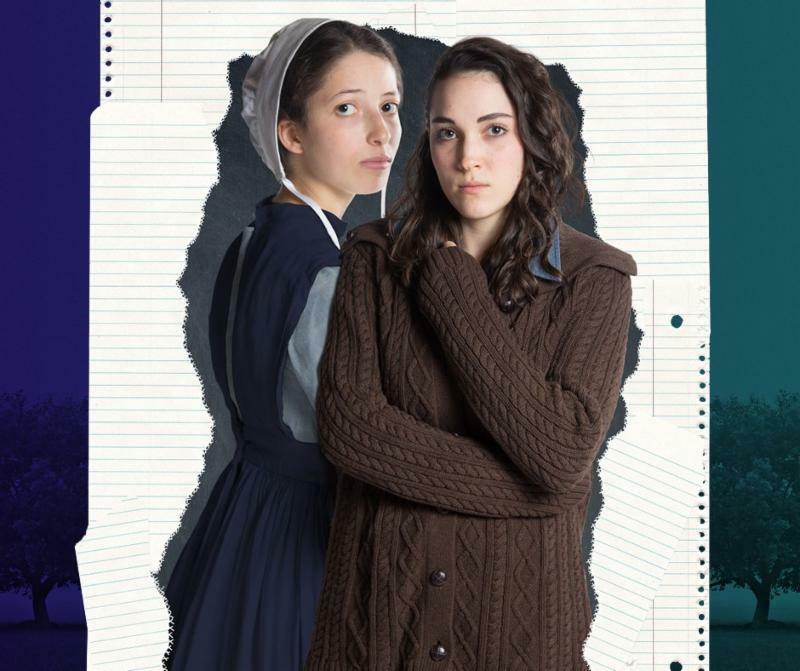 This play was inspired by the tragic 2006 shooting at an Amish school in Lancaster County, Pennsylvania. 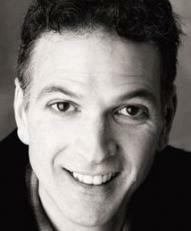 Join Scot Reese's THET451 Musical Theatre Workshop students for an afternoon of Broadway! Students will perform an hour of Broadway standards providing a lively afternoon break for students, faculty, and staff. In this work-in-progress showing, the collaborators seek to find analogous processes of dance-making: where the performance is the live result of well-crafted, movement-based practices framed by choreographic structures. Brought together by Dance Exchange, Sarah Gamblin, Joy Davis, Matthew Cumbie and Sam Horning, who have never worked all together before, will share the results of a week-long residency at TDPS as they dance through these questions. The TDPS New Play Workshop is an opportunity for student playwrights at UMD to develop a short play in a supportive environment. Each selected playwright is assigned a mentor—a professional dramatist living and working in the Baltimore-DC corridor. Mentors serve as guides through the process of rehearsing with a director and actors, filtering and implementing feedback, and revising. The weeklong event kicks off on Sunday, February 19 with a panel discussion about new play development. It will conclude on Sunday, February 26 with staged readings of the new plays. The TDPS New Play Workshop is supported in part by the Dramatists Guild of America. Featuring provocative choreography by MFA candidates in dance, serving as an unguarded exploration of these young artists' talents and interests. This concert focuses on new works in development. As the first opportunity for students to put material onstage and see what develops, the concert often contains the seeds of movement ideas that will be featured in their MFA Thesis programs. The MTEA THRIVE Conference is a theatre educator empowerment conference with experiential workshops that are designed to give theatre educators the opportunity to explore their craft. Attendees will experience the joy of reconnecting with their craft as theatre-makers; learn tools and tips to apply to their own classes; and gain a unique opportunity to connect and network with theatre educators and organizations from across the state of Maryland. All attendees will select three workshops that they would like to attend during the online checkout process. 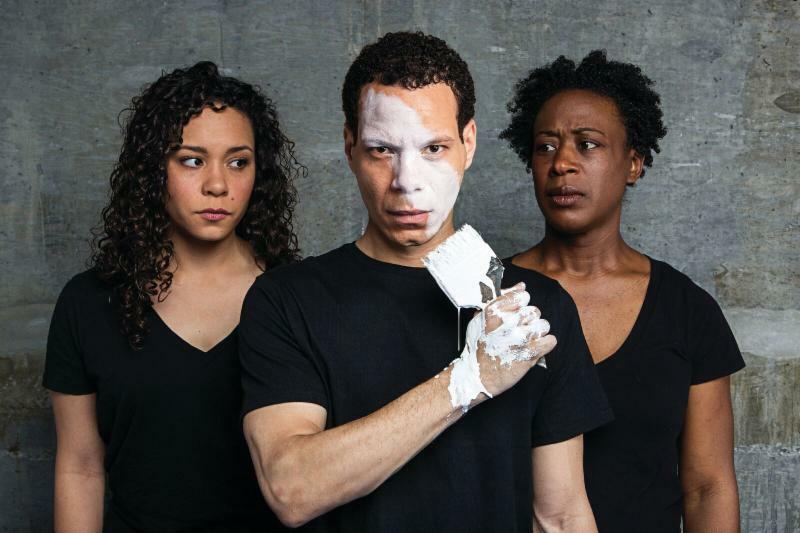 The day will consist of three invited lectures, a moderated roundtable discussion, and selected scenes from Woolly Mammoth Theatre Company's upcoming July 2017 production of Branden Jacobs-Jenkins' An Octoroon. Confirmed event speakers include Brian Herrera (Princeton University), Soyica Diggs Colbert (Georgetown University), and Joshua Takano Chambers-Letson (Northwestern University). Louis Colaianni - a voice, speech, text and dialect coach for theatre, film and television - is offering a two-day workshop including voice, speech, accent and text work with a foundation of Linklater Voice. The workshop will feature "phonetic pillows" and many exercises adapted from Kristin Linklater's Sound & Movement work and the Linklater Voice Progression. Join Lindsey Kasabian (BA Theatre ’03) for a workshop about casting and entering the professional job market in New York City and Los Angeles. She will offer a brief lecture about her theatre experience at UMD and her decision not to pursue professional acting, but instead find alternative routes to remain the industry. She will offer advice on networking and finding job opportunities in NYC and LA, and she will break down the intricacies of navigating the television business. In particular, she will focus on the casting process and will invite students to participate in a mock casting session. The workshop will also provide students with an opportunity to ask questions and discuss. Check out the flyer. 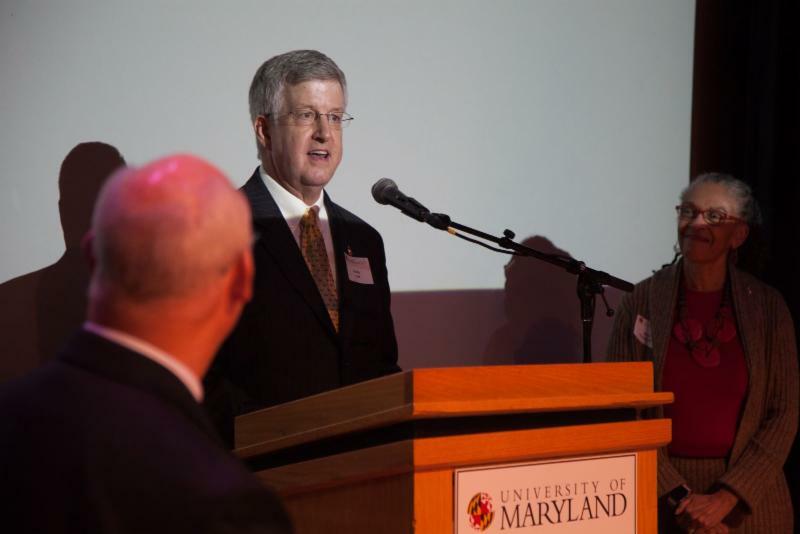 On Friday, February 10 we celebrated Randy Lord and Steve Fessler’s generous gift to the UMD School of Theatre, Dance, and Performance Studies (TDPS). Last fall, we announced that Randy--a 1977 graduate of what was then called the Speech & Dramatic Arts program--and his husband Steve committed to endow a graduate assistantship in theatre. The reception was an opportunity for TDPS faculty, students, staff and alumni to meet Randy and Steve and thank them in person for their generosity. Randy Lord ’77 delivering remarks. 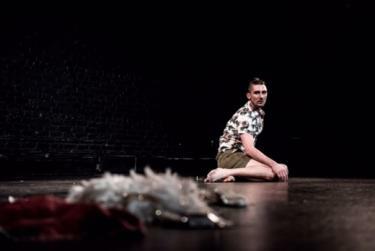 Photo by Geoff Sheil, The Clarice. Congratulations to everyone in the TDPS family—faculty, students, and alumni—who was nominated for a 2017 Helen Hayes Award! TDPS will represent 20 of the nominations at the award ceremony in May. 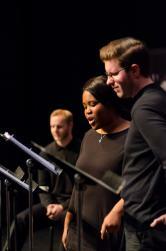 We are doing extraordinary work in the DC theatre scene! You can see the list of TDPS nominees here and the full list of 2017 Helen Hayes nominees here. 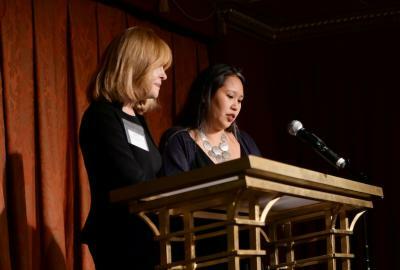 Bonnie Nelson Schwartz (left) and Deb Sivigny (MFA Design '04) (right) announce the 2017 Helen Hayes Award nominees. Shannon Finney Photography. "The duo launched an Indiegogo campaign in early 2014 and raised an initial $10,000, which helped get them into the space at the Historic Savage Mill. 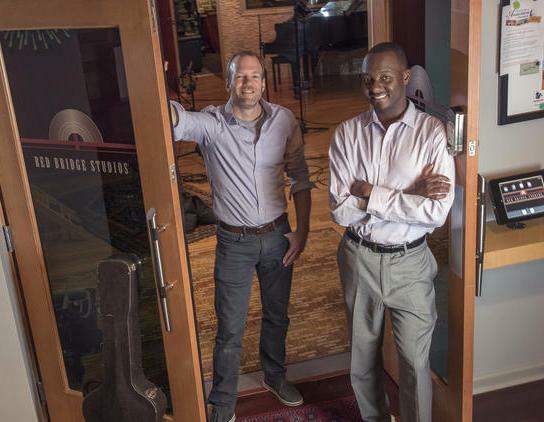 Both have full-time jobs during the day — Novak providing drum and piano music accompaniment for the University of Maryland’s School of Theatre, Dance and Performance Studies, Eberhardt as coordinator of music for Howard County Schools — so they knew finishing the studio would take time." Congratulations to MFA Dance alumna Stephanie Miracle ‘14 on receiving a US State Department Individual Grant to collaborate on a dance project in Russia! Stephanie will be working with Anna Shchekleina in Yekaterinburg on a cross-cultural exchange project, with the aim of challenging cultural biases and fostering empathy among the community. Stephanie will be in Russia from March 11-April 4. 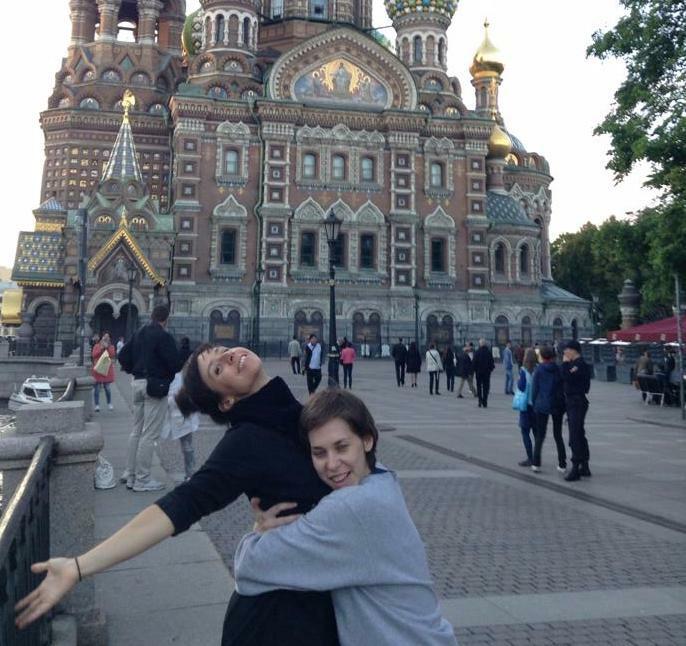 Stephanie Miracle and Anna Shchekleina in St. Petersburg, June 2014. 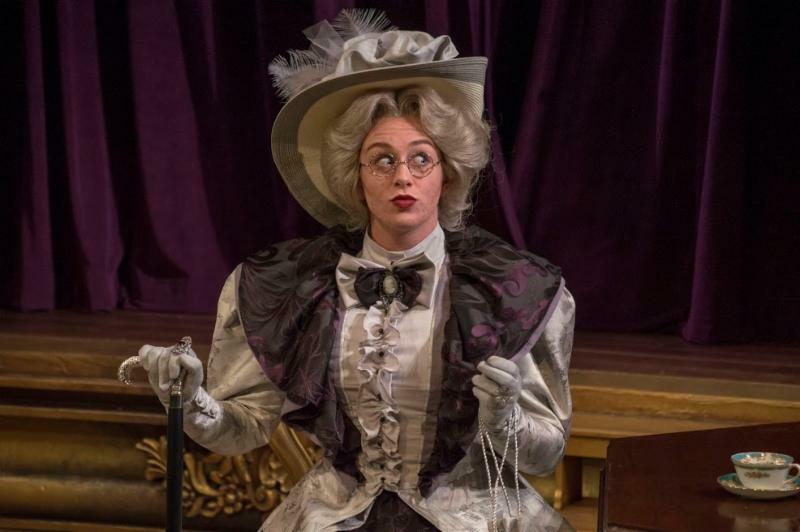 The Importance of Being Earnest: the reviews are in! 'It was empowering to be a transgender theatre artist and to be cast in a very queer and subversive role it’s like, yeah, absolutely that’s my role, that role was made for me,' Adler said." 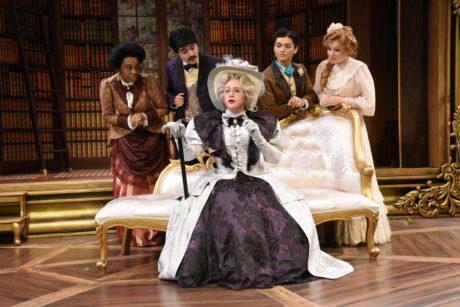 The cast of The Importance of Being Earnest at The Clarice, directed by Amber Paige McGinnis. Set design by Matthew Buttrey; Costume Design by Jeannette Christensen; Lighting Design by Brandi Martin; Sound Design by Neil McFadden. Photo by Stan Barouh. The cast of The Importance of Being Earnest at The Clarice. Photo by Stan Barouh. 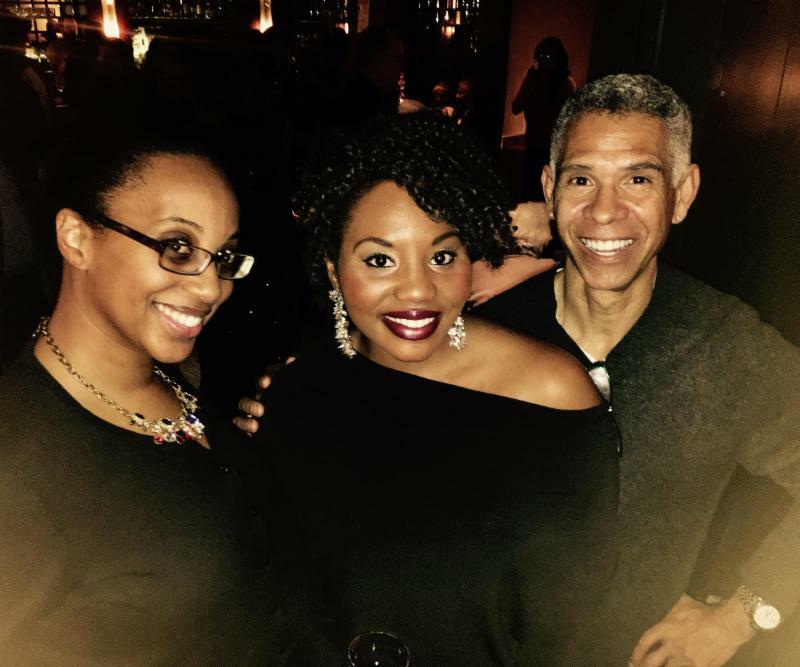 TDPS Professor Scot Reese recently caught up with alumni Leayne Freeman Dempsey (BA Theatre ‘08) and Lindsay Roberts (BA Music ‘08) at the opening of Lindsay’s Kennedy Center performance of I Dream -- a new, original rhythm and blues opera about the life of Rev. Dr. Martin Luther King Jr. on February 2. Congratulations, Lindsay! Are you a local performing artist who is interested in developing new work? Do you or your company want audience feedback on projects you are designing? Do you value input in your creative process? Apply to be a part of the 2017-2018 NextLOOK series! 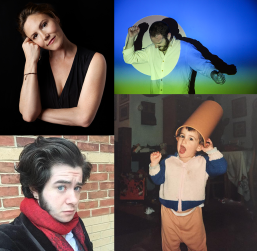 Established in 2014 through a partnership between The Clarice and Joe’s Movement Emporium, NextLOOK supports the development of new music, plays, dance and other experiences by performing artists based in DC, Maryland and Virginia who are looking to incorporate audience feedback into their creative process. Visit http://theclarice.umd.edu/nextlook to download the full RFP and learn more about the NextLOOK series and its proposal requirements and to access the online proposal form. The deadline to apply is Friday, March 3, 2017. Decisions for the 2017-2018 NextLOOK season will be made in early April 2017. Sessions available TODAY (February 20) and February 21 - 22! ClintonBPhotography is offering a President's Day special rate for headshots. For more information on the packages offered and session details, click here. 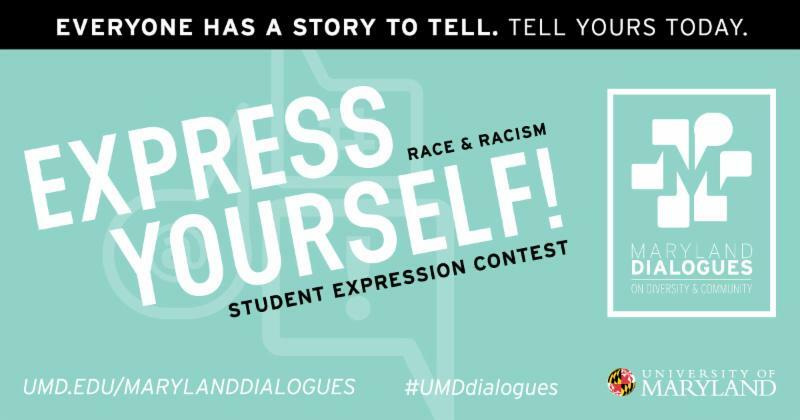 The Maryland Dialogues is holding the Express Yourself! competition, open for ALL students to share their unique experiences and perspectives about race and racism. Categories include essays, visual arts, and creative arts. The contest includes cash prizes: $200 for each College undergraduate and graduate category winner, as well as $1,000 awarded by the Provost to overall category winners. More information on the contest is available here. The University of Maryland Communications and Marketing department is holding a writing competition open to any current Maryland student. The winning written piece will be used as narration for an upcoming University of Maryland video that will be distributed to vast network of alumni, students and staff via email and UMD’s social media channels, as well as live on UMD’s YouTube channel Send writing samples to Mark Sherwood (Sherwood@umd.edu) by March 1, 2017 for best consideration. For more details, click here. The Latin American Studies Center Annual Student Conference is calling for papers on this year's conference theme: Sanctuary, Refuge, Oasis. The conference is scheduled for May 4-5, 2017 on the UMD campus, and will include two days of panels, a keynote panel discussion (scholars, activists, policy makers), and a music filled closing reception. Graduate students and advanced undergraduate student submissions are welcome to submit. Please submit abstracts of approximately 250 words, proposing individual paper presentations, panels, posters, performances, or other creative formats, by March 10, 2017, to the Latin American Studies Center at the University of Maryland, LASC@umd.edu. On February 27, the Career Center is hosting two panels on careers in entertainment at Hornbake Library: Careers in Film & Entertainment (5-6pm) and a Hollywood Radio & TV Society Virtual Panel (7-8pm) For the complete list of panelists, click here. Please RSVP for one or both events through links above. Questions? Please email Kate Juhl at kjuhl@umd.edu. The Career Center's Intern for a Day program connects undergraduate students with alumni, parents, employers and community partners for one day internship/shadowing experiences. The program is holding mandatory orientation events for spring 2017 from February 27 - March 2 at the Hornbake Library. Click here to see event details and RSVP. The Stamp’s Offices of Multicultural Involvement & Community Advocacy and Leadership & Community Service-Learning are pleased to again host the MOSAIC Diversity & Leadership Retreat on the weekend of March 4-5, 2017. MOSAIC 2017 Retreat is a two-day, one-night weekend retreat focused on exploring the relationship between diversity and leadership. Application for students to attend are open at go.umd.edu/mosaic17. The Tantallon Community Players are holding auditions for A Chorus Line on March 5 and 6 from 6pm to 9pm at the Harmony Hall Regional Center (10701 Livingston Road, Fort Washington, MD 20744). The Williamstown Theatre Festival (WTF) is seeking staff, interns, and apprentices for summer 2017! The festival is looking for staff and interns in the areas of production, artistic, and administration, as well as an apprenticeship program. You can learn more about the WTF summer programs by checking out their posters for designer and technicians, as well as directors and actors. Infinity Theatre is hiring interns for its 2017 summer season. Their college internships include programs for acting; technical theatre and stage management; and and music. They will hold interviews and auditions on March 12 from 1-7pm. To arrange an audition/interview appointment, e-mail Jeremy@InfinityTheatre.com. More information available on the program flyer here. Margaret P. Bean is holding auditions for lead roles and extras in her play The Game Changers on March 18 from 10am to 2pm. Upcoming auditions for two summer Capital Fringe shows! Producer Pamela Nice is holding auditions for Our Harsh Logic: Israeli Soldiers’ Testimonies from the Occupied Territories, 2000-2012 and "It's What We Do": A Play About the Occupation on March 4 and 5 with callbacks on March 9. Interested actors should send a headshot and resume to director Pamela at pmnice@gmail.com.